The loose-fit lining (LFL) technique merely involves the insertion into the host pipe of a new pipe (made of plastic, steel, clay or GRP), whose outer diameter is smaller than the inner diameter of the host pipe. The annular space existing between the outer walls of the new pipe and the inner walls of the host pipe is called annulus. Its width can vary between as little as a few millimetres to some centimetres, according to the technique used. 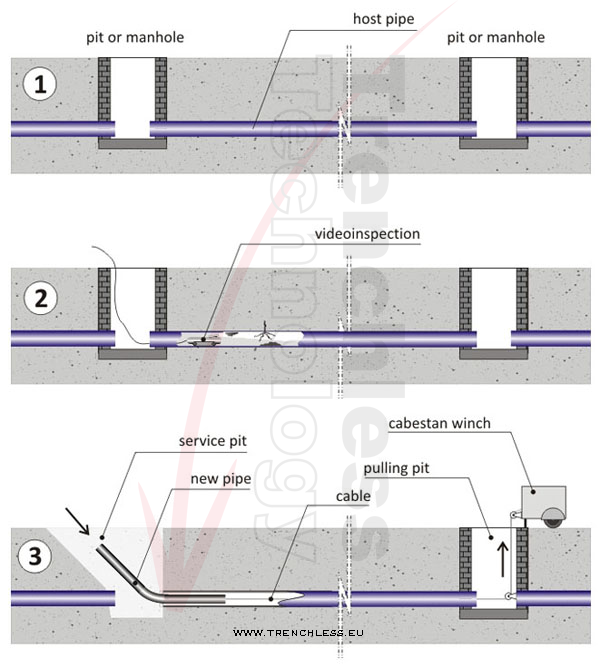 Another term used to describe these technologies is, in specialised technical language, sliplining, as the liner is either pushed, but more often pulled, into the host pipe.